This is the third part of Making Sense of Auto Layout Series. 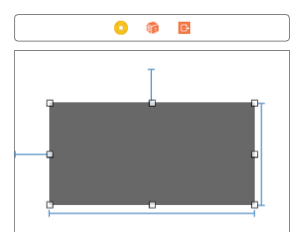 Previously, we have explained how Auto Layout calculates view position and size. 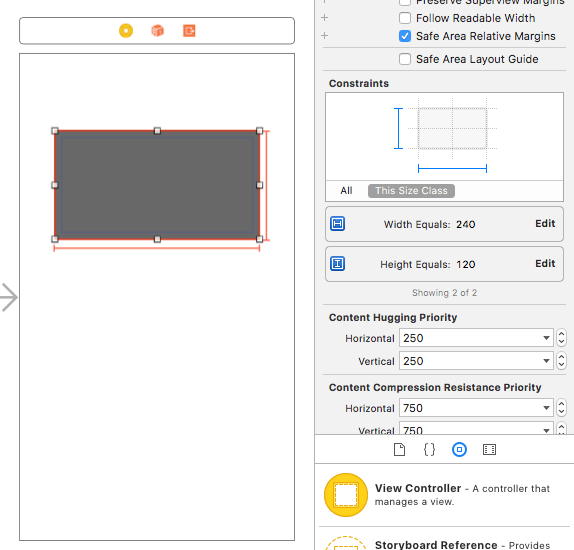 In this post we will look into why Xcode shows you red lines when designing layout and how to solve them. 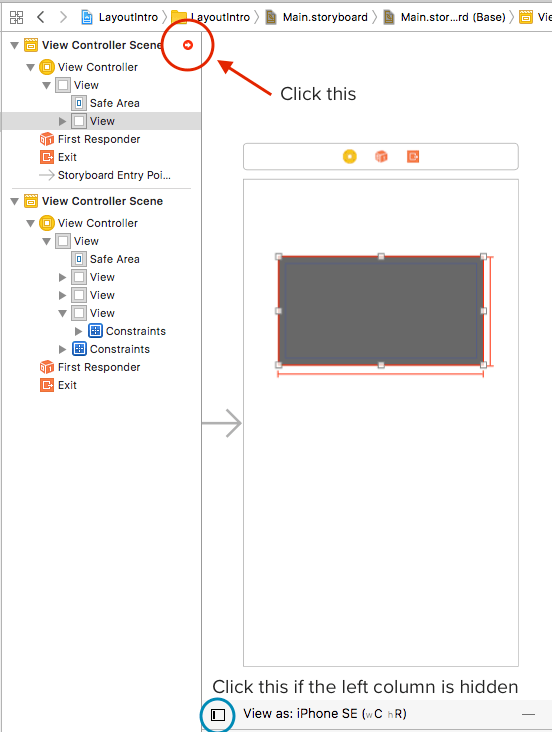 Xcode shows you red line in the Interface Builder (the place where you drag and drop view controller in storyboard) when it doesn't know where it should place the view or/and what size is the view. 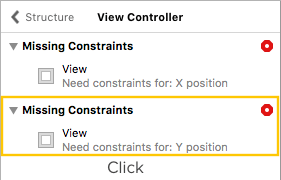 When you click on the missing constraints error, it will highlight the view that has missing constraint on Xcode. You will see that Xcode complain that it needs constraints that allow it to calculate the X position and Y position of the view. 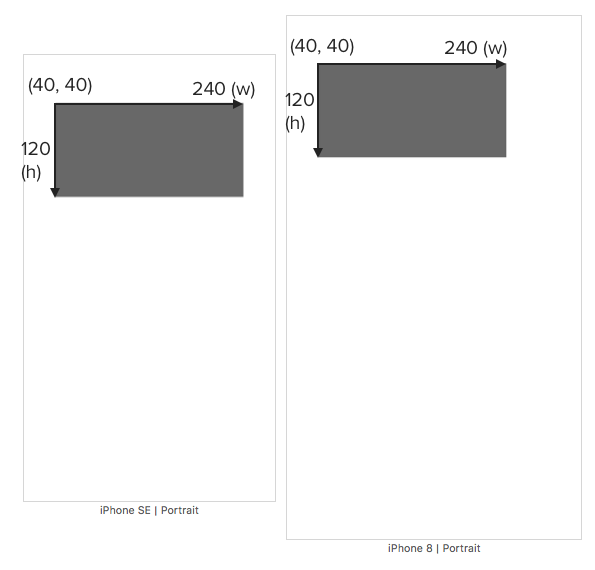 Remember Auto Layout Engine needs to know / able to calculate a view X position, Y position, width and height to render it correctly? But there is no constraint that can let the Auto Layout Engine calculate the X position and Y position. 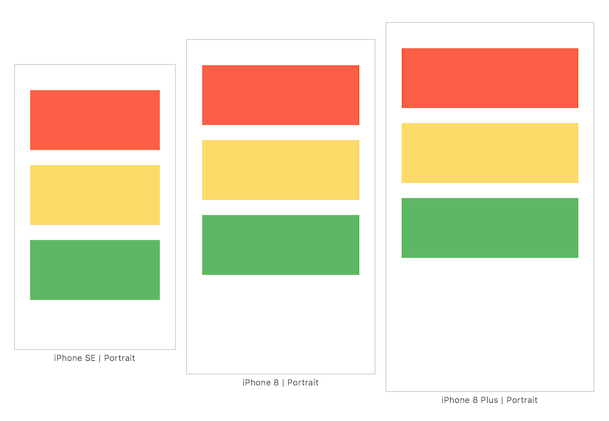 Thats why Xcode surrounded the view with red lines to get your attention (oh you) to fix it. After adding constraint, you will see those red line changed into blue line because Xcode now know where to position the view, yay! 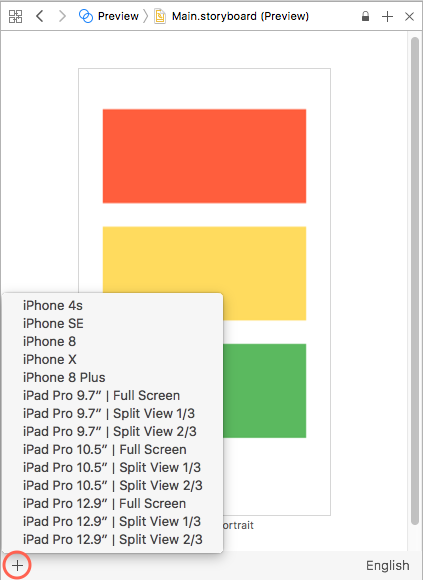 The example only used 1 view and I know that your app will surely have more than 1 view, but the cause of Xcode showing you red lines will always be that Xcode / Auto Layout Engine doesn't know what size is your view or where to place your view. 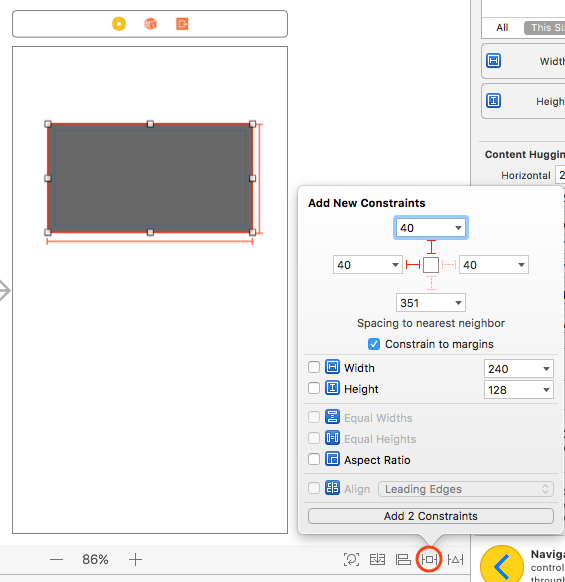 Always add enough constraints to all the views so Xcode / Auto Layout Engine can know or able to calculate what size is your view and where to place your view. In the next post, we will look into how to solve conflicting constraints (when Xcode show you red lines with numbers around your view). 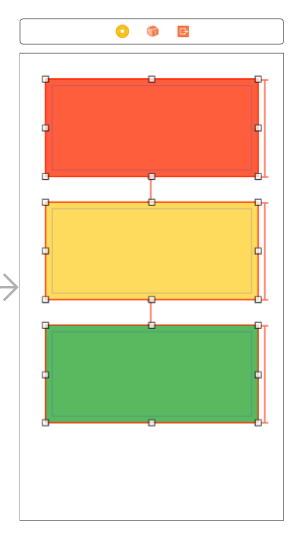 Can't wrap your head around Auto Layout and want to strangle it because it made your UI look like a mess? Check out Making Sense of Auto Layout book + case study! I have prepared a Xcode project with some missing constraint, you can download it here. You can check the answer of this exercise here, be sure to attempt it first before checking answer!